From Organic Facts via BestHerbalHealth. According to this study eating fermented foods, like sauerkraut, is proven to promote weight loss –especially in the waist-hip area! Consuming fermented foods had a very positive effect on metabolism. The results of the study suggest that the fermentation of the cabbage in particular may affect obesity, lipid metabolism, and inflammatory processes. 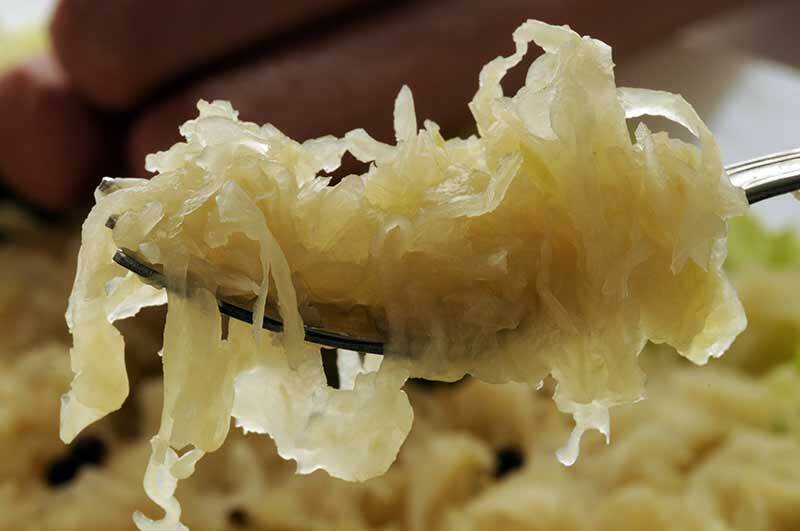 Food pasteurization laws as well as the canning process means that most sauerkraut on store shelves has been heated to the point where its beneficial bacteria is killed off. 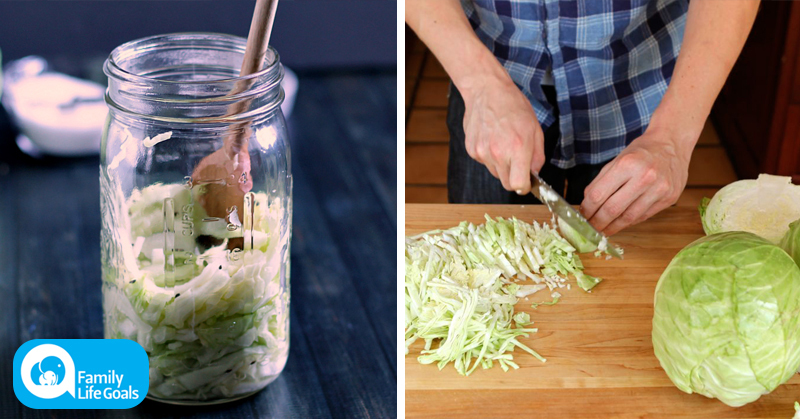 The good news is, making your own sauerkraut is actually quite simple –not to mention budget friendly! Core your cabbages and shred the rest. A food processor is great for this! In a large bowl, toss the cabbage and salt together. 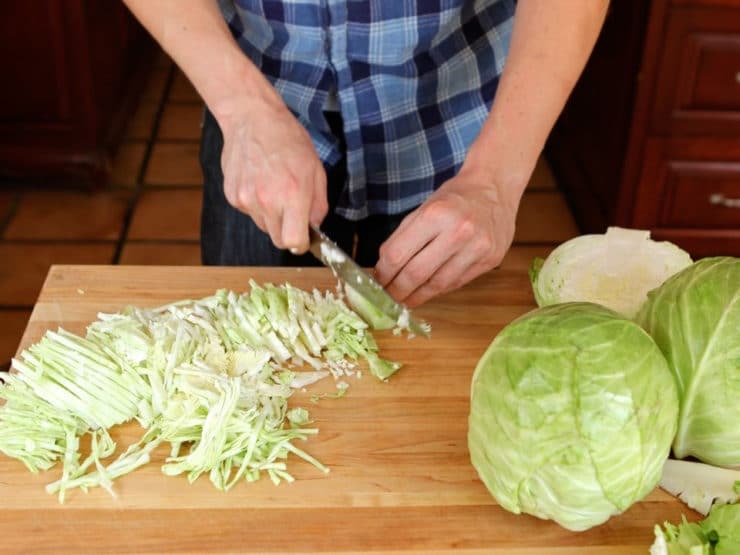 You will need to “knead” them together with your hands to break up the cellular structure of the cabbage. The cabbage will begin to release its juices and become limp. This is when you will need to pack it as tightly as possible into a sauerkraut crock or vegetable fermenter. If you don’t have one, you can simply pack it tightly into a large glass jar, pounding it down with a wooden spoon. Continue pounding until the cabbage becomes submersed in liquid. This is very important as real key to preparing any fermented food, is that the solid materials rest below the liquid. Fermentation is an anaerobic process and to expose your ferments to air increases the likelihood that they’ll become contaminated by stray microbes, yeasts and molds. Cover loosely and let your ‘kraut sit at room temperature to begin its fermentation process. It can sit for at least 1 month and up to 6, depending on how you like it. Test the sauerkraut every few days, and once it’s to your liking transfer it to the fridge where it will keep for at least 6 months. If scum appears on the top, simply spoon off the top what you can. Republished with permission from bestherbalhealth.com.